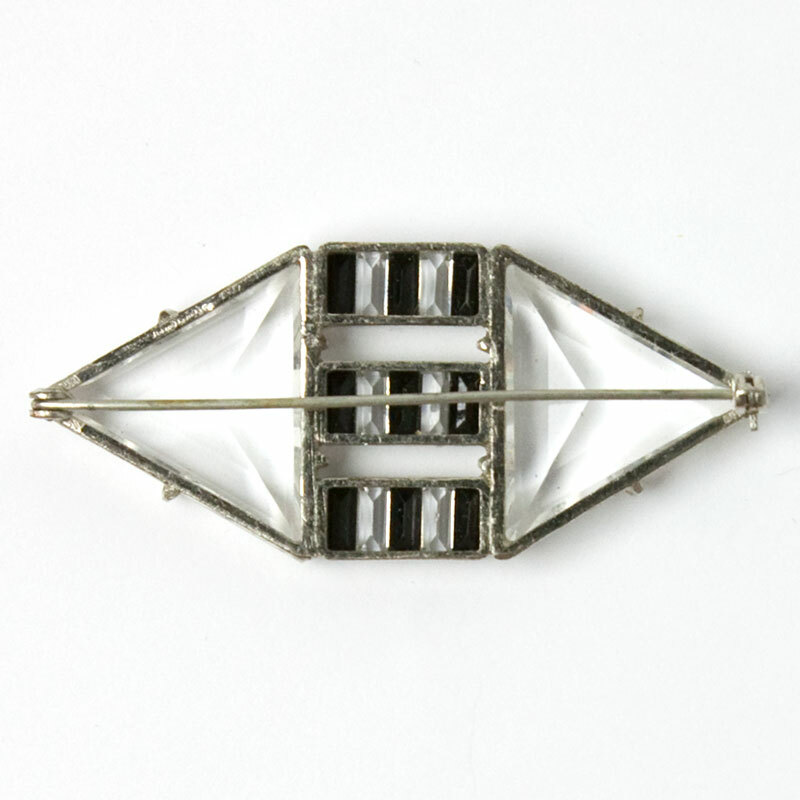 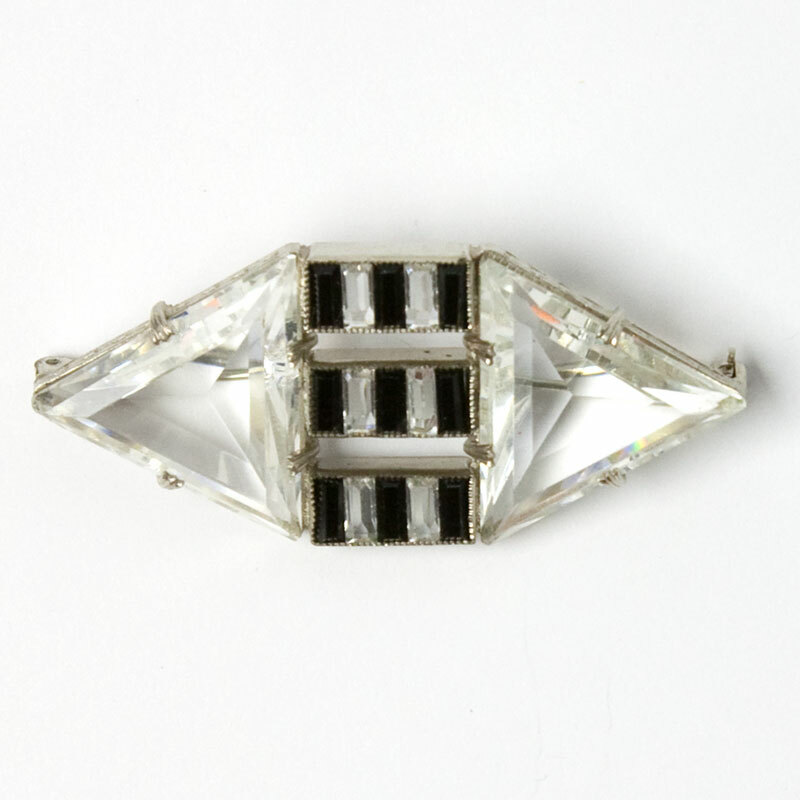 This crystal brooch features a beautifully-faceted triangle on each end. 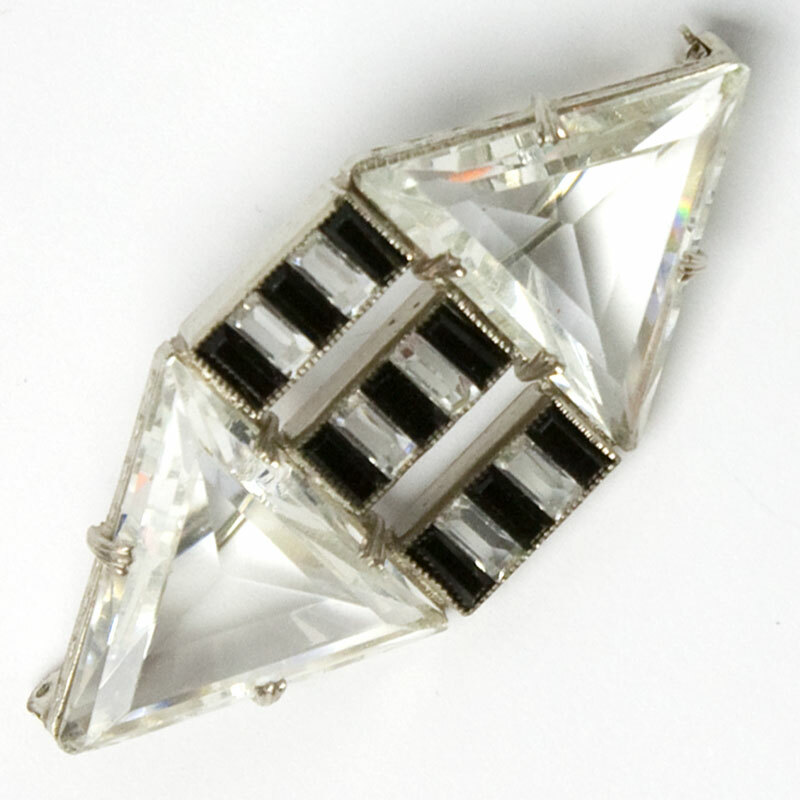 The centerpiece has three rows of alternating crystal and onyx-glass rectangles. The construction of this Art Deco piece is outstanding. White metal frames hold the stones, and the edges of the triangle frames are etched. 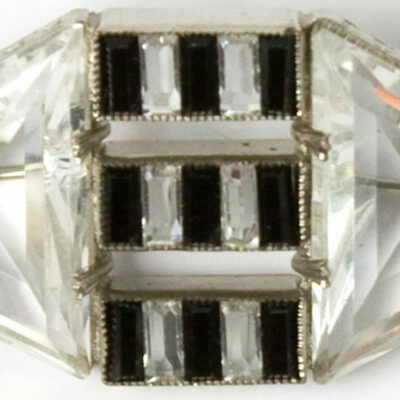 This stunning jewel from my personal collection closes with a roll-over safety clasp. I believe this piece was made in Germany or the former Czechoslovakia.